My post from earlier was a little on the grumpy side, so I thought I would end the night with a smile. And my Jessica always makes me smile. Even in her new tantrums and her stomping feet I am always smiling on the inside. You can see her first sailor girl post here. Linking up with Chelsey for her Photo Challenge. Oh man, that is just the sweetest photo! I love that outfit so much! 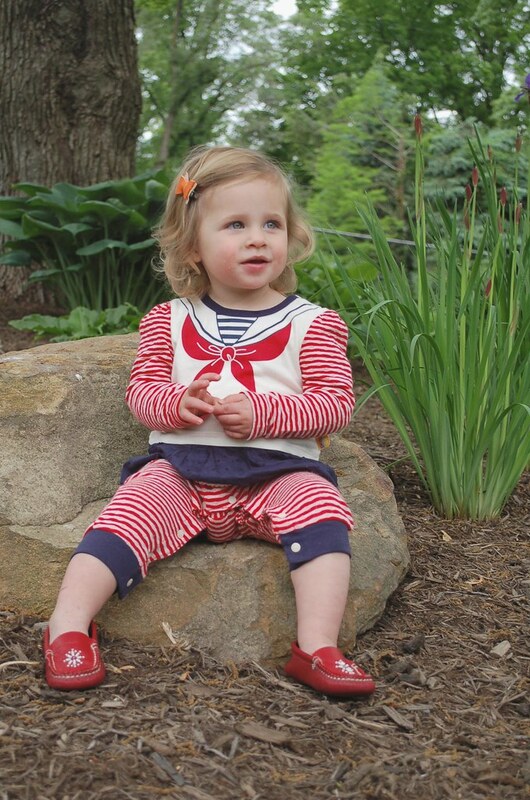 The sweetest little sailor! I can't believe the difference from her first sailor girl to this one, oh she's growing so fast. i know! she has a whole new look. she just seems so much older to me. which makes me sad :( it goes way too fast! how's the starr family? ?